The 2017 World Championships are now part of history and our sport has crowned our new Singles and Doubles champions. Curious as to who won? 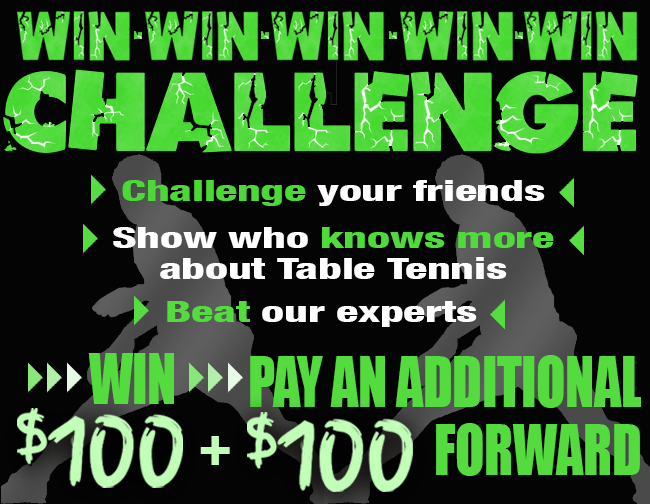 Did you enter our Win-Win-Win-Win-Win Challenge? Each of the above names, except Christian, are eligible for the final drawing to select the winner of the $100 Gift Certificate from Ping Pong Depot. We will video the drawing and post it on our Facebook page shortly. Thanks to everyone who participated.